TAKE A LOOK :8-) HERE . . . . A HARD TO FIND . . . LOW MILEAGE TOYOTA TACOMA . . . . 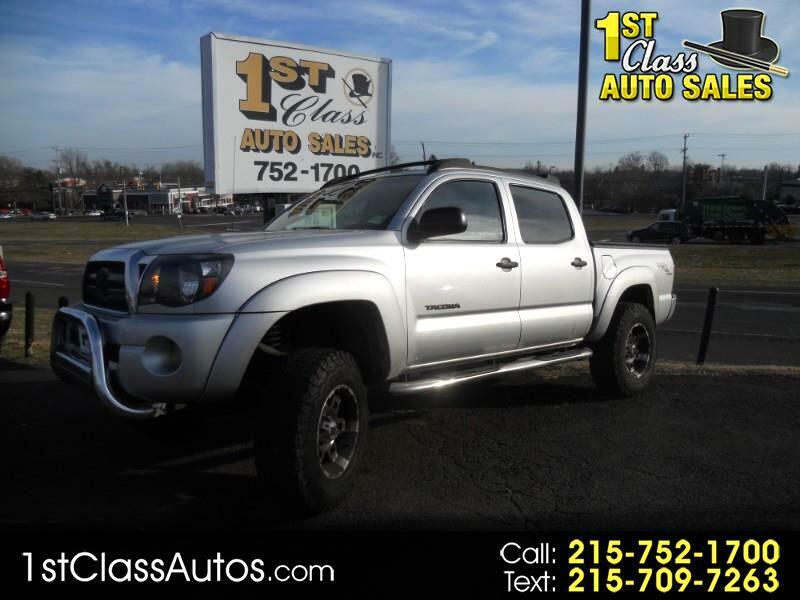 THIS GORGEOUS 4DR TACOMA PRERUNNER HAS A LOT GOING FOR IT WITH THE POWERFUL 4.0L ENGINE / / /POWER WINDOWS / / / CD PLAYER / / / MAG WHEELS (sharp) / / / HARD BED COVER AS WELL AS A BEDLINER / / / nEW PA INSPECTION / / / ONLY DRIVER 10,000 PER YEAR (LOW) !!! ALL KINDA GOOD LOOKS TO GO WITH THE TOYOTA TUFFNESS . . . . HURRY IN !! !